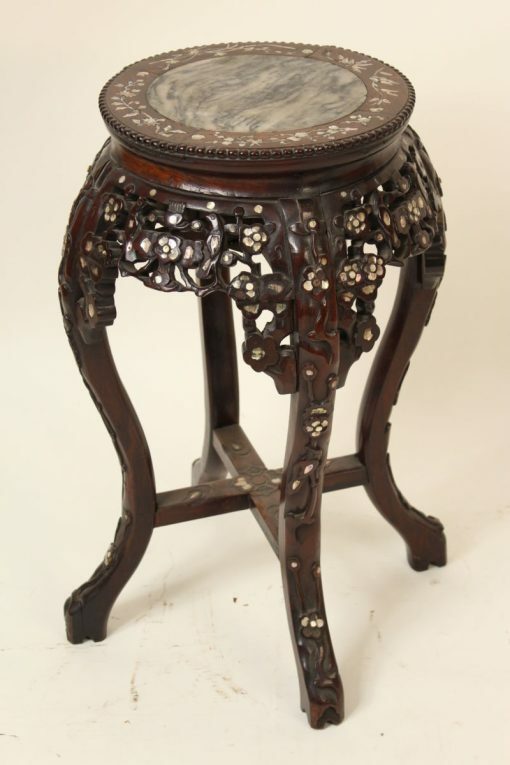 Chinese rosewood occasional table with mother of pearl inlay, circa 1930-1950. Largest diameter of table 18″. Diameter of top 12″.